No sooner do Matthew and Emily arrive in Montmartre, Paris with their parents on holiday from the USA than they lose them. The terrible Apache gang, led by Pigalle and the awful Vlad, hunt the children through Montmartre, to kidnap them and sell them abroad. But the children are not alone. 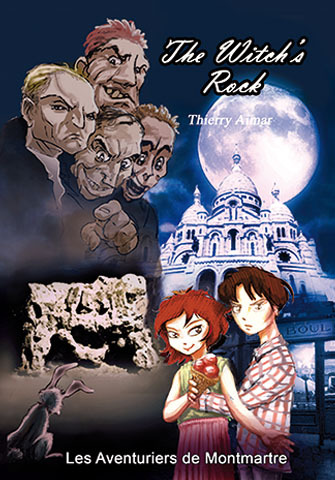 The Witch’s Rock, age-old guardian of Montmartre, vows to protect them with its mysterious Hidden Energies. They then embark on a voyage of discovery through the oldest mysteries of Montmartre, guided by its most legendary figures: Poulbot, Old Mother Catherine, Mimi Pinson, Agile the rabbit, the Man Who Walked through Walls and Picasso. But will their friends be strong enough to help our two young heroes escape capture?